Trent Miller’s second album Welcome To Inferno Valley was released by Bucketfull Of Brains last summer to considerable acclaim; the Daily Mirror welcomed him as a ‘kindred spirit’ to Gene Clark and Townes Van Zandt while Q Magazine praised a ‘darkly underground mix of… mournful blues and lonesome country’. Two years previously it had been a surprise when from the young crew of London-based folkies playing small venues like the Easy Come, the Betsey, and the Gladstone, Trent was the first to get an album out. Cerberus, a collection of self-recorded songs mainly with just an acoustic guitar, harmonica, and unadorned voice, mesmerised with invocations of myth, magick, and Mississippi. Cerberus was the three headed dog guarding the gates of Hades. 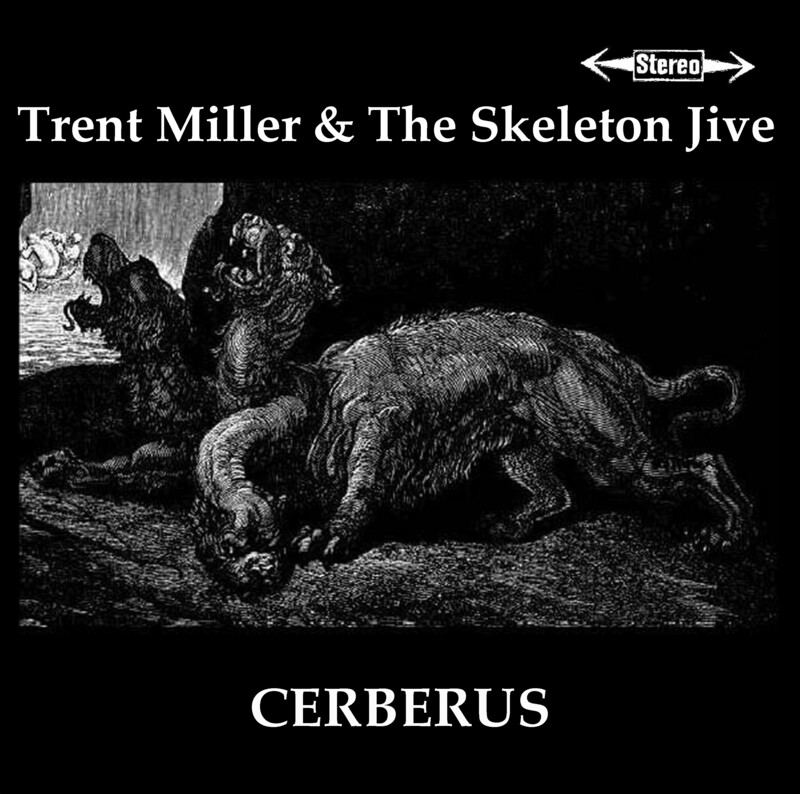 Miller’s Cerberus came swathed in black with a Dore drawing, and the Hanged Man tarot card. With titles like ‘Hellbound Train’, ‘Hangman Shore’, and ‘Calvary Mountain’; these short songs, almost vignettes, were entrancing . The Italian-born Miller sang in his adopted language with a touching tentativeness which, as on the tender ‘Secret Fires’, resulted in a uniquely affecting experience for the sympathetic listener. Cerberus has now been re-issued by Bucketfull Of Brains (BoB 112H) and is distributed by Proper.